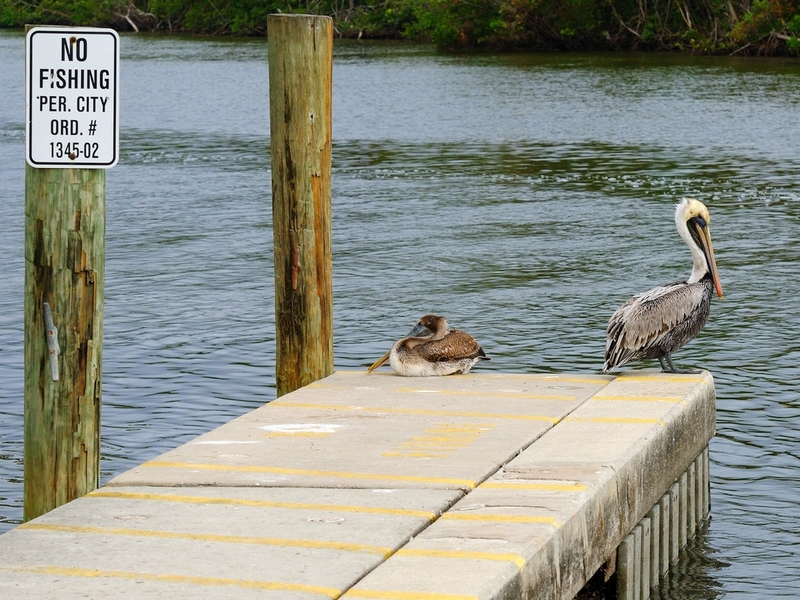 I just can’t resist the shots of the birds hanging around the boat ramp at Ponce de Leon Park. 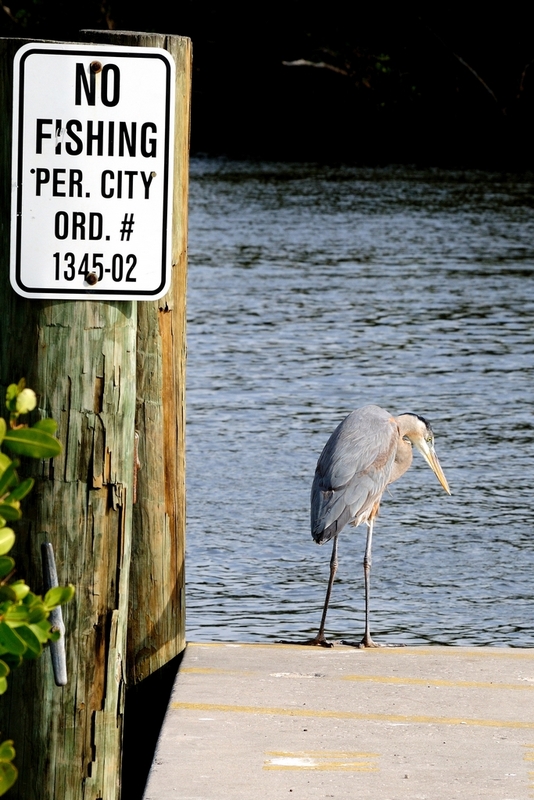 The city has posted no fishing signs to keep human anglers out of the way of boat launching activities but the birds ignore the law. I call these the scofflaw pictures. This entry was posted in Bird, Park, Park - Ponce de Leon and tagged Eastern Brown Pelican, Great Blue Heron, Photography, Ponce de Leon Park. Bookmark the permalink.